Welcome to Helirig’s new website. Helirig are the UK and Ireland’s leading provider of helicopter lifting services. The world-class expertise of our pilots, capable ground crew and highly specialist helicopters enjoy repeated success across a variety of sectors. From lifting chillers onto roofs, participating in Hollywood stunts and constructing power lines in remote and inaccessible locations, Helirig continue to be the standard-bearers for reliable, precise and efficient helicopter lifting. We are committed to adapting our specialist service to the specific demands of your project, and most recently we have rapidly developed strong expertise in the construction and maintenance of power lines. Projects in rural Ireland, England and elsewhere have shown how deploying Helirig bypasses problems such as site inaccessibility or environmental sensitivity. Helirig have now established themselves as the leading experts in conducting logistically complex urban lifts. 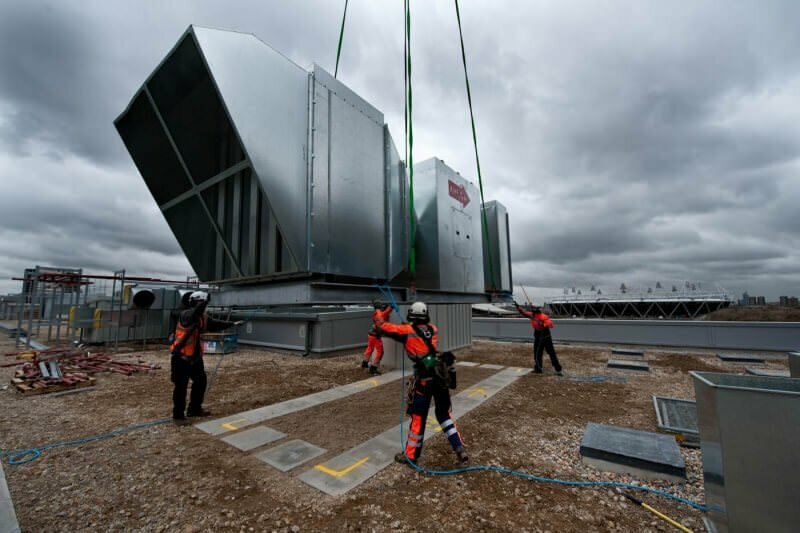 Whether it’s lifting chillers onto the Foreign Office building in Whitehall, a financial hub on the Thames or Europe’s largest shopping center, Helirig are equipped with flying permits and millimeter-accurate flying expertise to guarantee a smooth and swift lift with minimum disruption to the general public. We have a busy 2015 ahead of us and are looking forward to maintaining our productive relationships with our trusted clients. Contact us to find out how exactly we can work with you. You may be surprised by the value to cost and time management that using a helicopter can add.